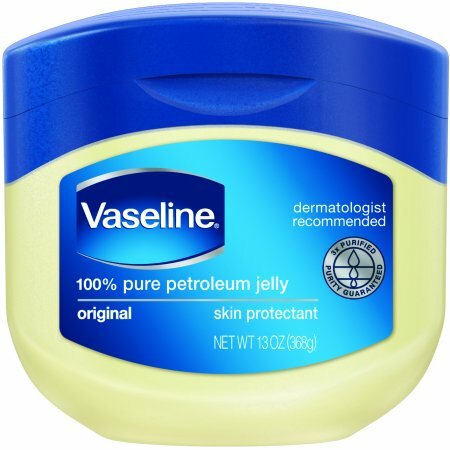 Am I the only one who thinks that Vaseline is something legendary that it can be used in a million way? Here are some hacks that you can use with this good old-fashioned gel. 1. You can even make your own DIY lip scrub by adding some sugar to your Vaseline. 2. Or make a body scrub instead by mixing Vaseline with sea salt to get maximum moisture. 3. You can also use it to remove your falsies. 4. Before you dye your hair, dab some along your hair line and ears to protect your skin from getting coloured. 5. Before you apply nail polish, just smear your cuticles with Vaseline to avoid colour sticking to your skin. 6. It also an inexpensive substitute for a makeup remover. 7. Make your legs glow. Mix Vaseline with your fave liquid bronzer. Spread the formula on your legs for a shiny, glowy look. 8. Soothe dry heels. Spread Vaseline on your feet before you go to bed, and cover with fuzzy socks. You’ll wake up with soft skin that will look and feel like you got a pedicure.